The 1980’s started well, with an order from Jaguar Cars worth £5m. 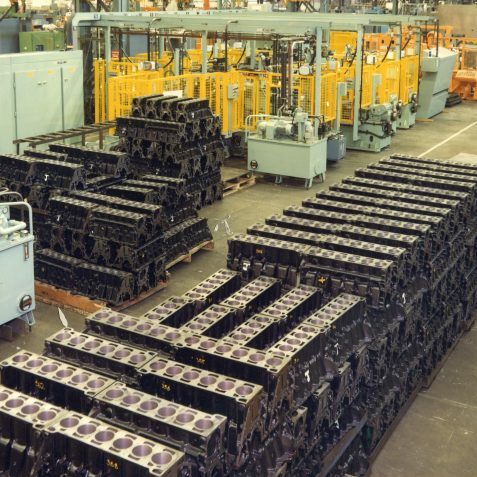 It was felt that the order, for machines to produce a range of aluminium engine blocks was the forerunner of things to come, with the motor industry’s search for weight reduction and greater fuel economy. 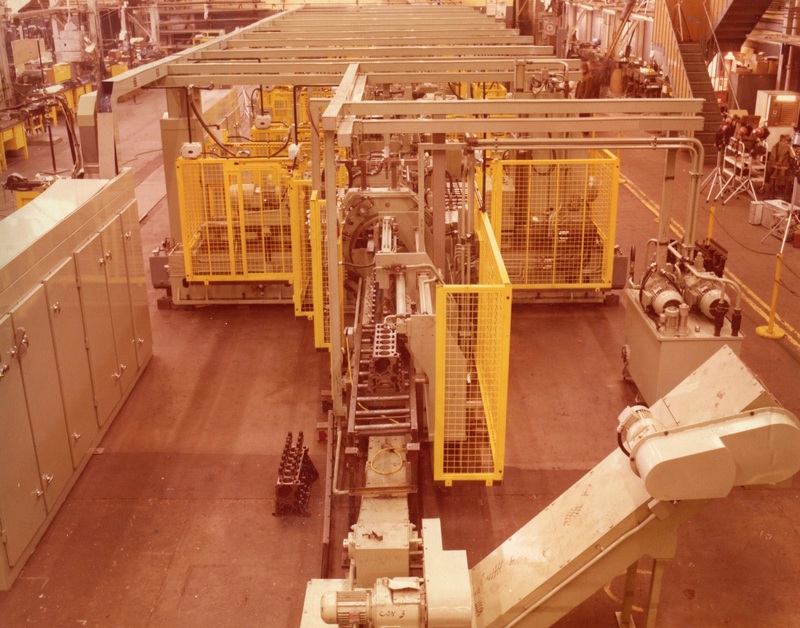 A novel innovation, the machine would be capable of handling parts with varying configuration, additionally the machine would use diamond milling and boring tools. 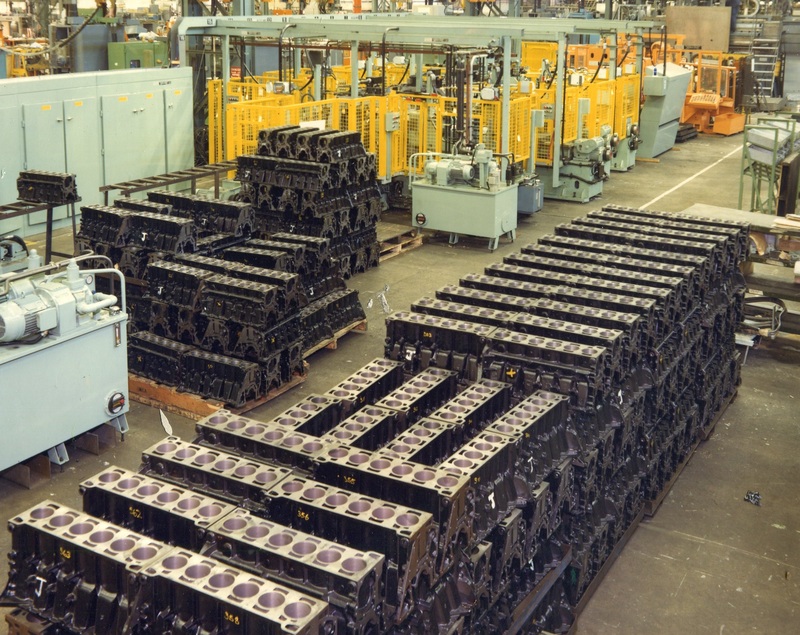 A smaller order was received from Austin Morris; the machine would produce cast iron cylinder heads for the new Mini Metro, due to be launched at the end of 1980. 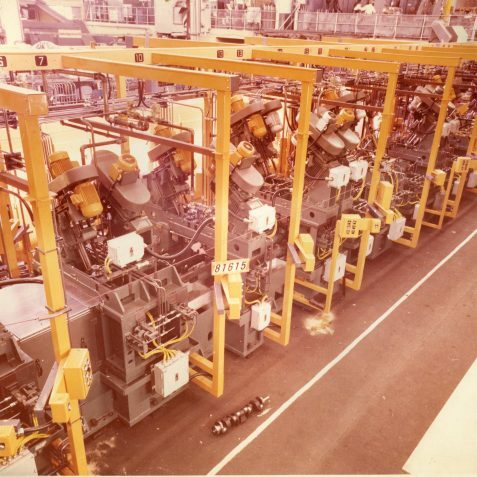 Another order from Ford at Dagenham was for a 6 Station Rotary Index Machine, to produce the exhaust manifold for the Ford Sierra. A Late Change of Technology! Up until the 1980’s all Special Purpose machine functions were controlled by relay logic systems. Additionally cutting axis movement was controlled by hydraulic quill feed and hydraulic feed slides. 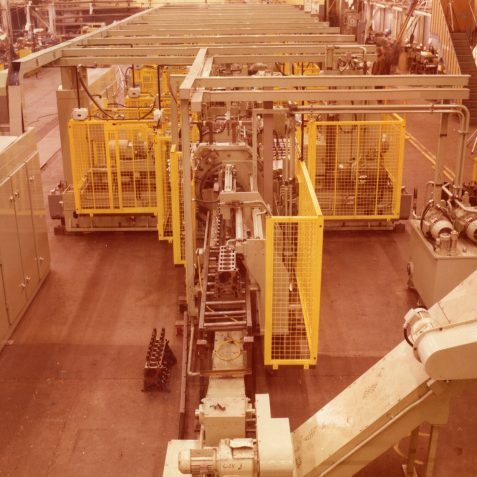 The cutting axis would travel at rapid until close to the worksurface where a hydraulic valve would reduce the axis motion to the appropriate cutting speed. This was very different to the NC division where computers, ball screws and encoders controlled the cutting axis. The Allen Bradley Data Highway micro processor controller was introduced to Special Purpose machines in the early 1980’s, and at the same time programmable brushless axis drives were also integrated into the machines. However it was probably too late, as the Company was beginning to focus elsewhere! 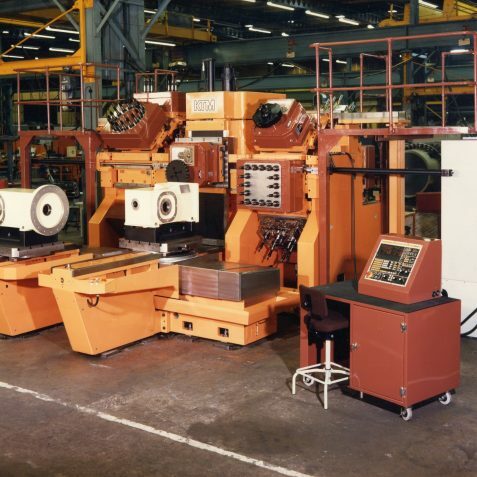 It was during the mid 1980’s that the Company began to increase the emphasis on the other side of their business, CNC Machining Centres; Special Purpose Machines started to take a back seat. There was an attempt to amalgamate the technology of the former, with the cutting tools of the latter, with a Head Changing machine. 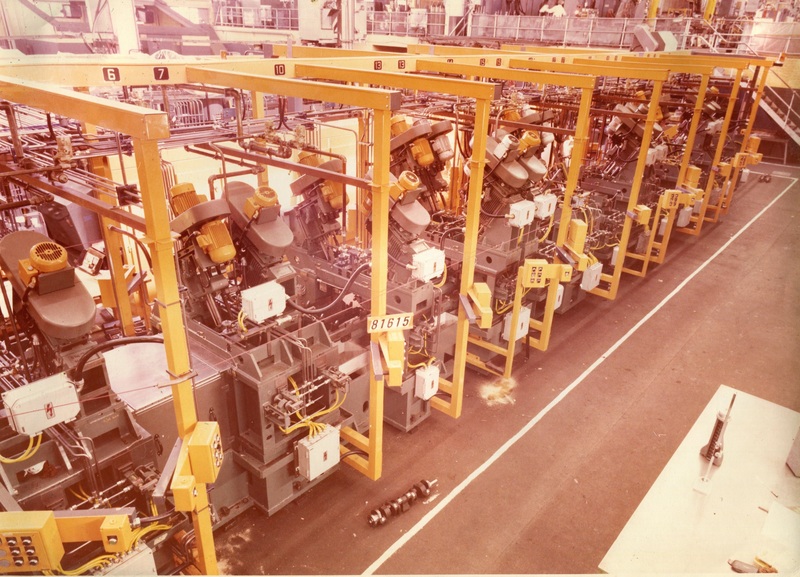 The machine was based on a Machining Centre, but designed to accept multi spindle cluster boxes of special purpose design. The concept appeared well thought out, taking the best from both technologies, however no orders were placed, and the product was dropped. This set back probably increased the attention on CNC Machining Centres, and was the death knell for Special Purpose machines, as their decline sharpened. 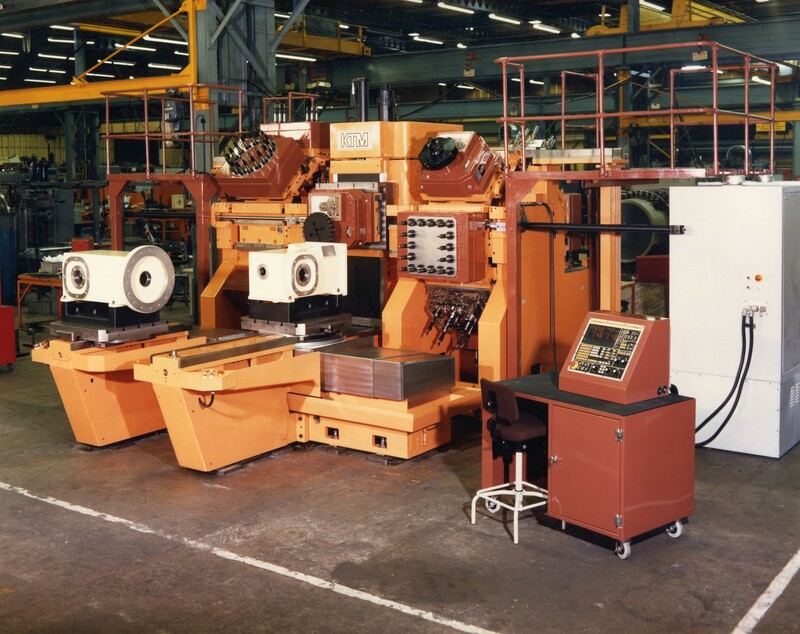 This was even more rapid after the management buyout in 1989, and the focus was on the design of a new range of FMT FMS CNC Machining Centres.